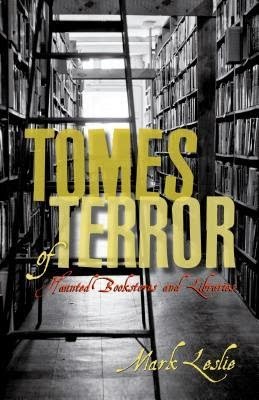 So you can guess my excitement to read Mark Leslie’s Tomes of Terror, a collection of hauntings set in libraries and bookstores. Leslie’s first two nonfiction books explored the haunted legends of Hamilton and Sudbury in Canada. This time he travels the globe recounting stories of specters who re-shelve library books, peruse the remainder pile or just want to sit in a quiet corner and enjoy a good book. I can relate. My ideal afterlife would be spent on the top floor of the Boulder Book Store (with occasional sojourns along Pearl Street to Illegal Pete’s, of course). As for Leslie’s collection, it’s a great read for any fan of ghost literature. It’s also a mixed bag, with some anecdotes chilling, some sweet, some silly. There is one shortcoming in this book, but it is no fault of Leslie’s. It’s the medium. Sadly, the written word can’t compete with a spook story shared in hushed whispers around a campfire, so truly visceral frights are few. Despite the limitations of the printed page, I love any well-written and –researched book of hauntings. What I like most about them, I think, is that the tales turn out to be more historical than horrific. I’ve come to view ghost books (and tours) more as historical documents than anything else, but the kind that infuse a town with a lot of personality. For me, it’s hard to truly love a place until I’ve explored its ghostly geography. Fittingly, some of the most fascinating parts of Tomes of Terror are not the ghosts, but the histories of the libraries and stores themselves. A sad postscript is that a fair number of the bookstores mentioned in this collection are now closed, becoming a different kind of ghost. And that’s truly terrifying. But the stories never die, and in that sense, the shuttered stores live on in their own haunting way. Like ghosts, their spirits persist in the pages of Leslie’s collection. Come October, you can’t go wrong with a collection of horror stories on the nightstand (or anytime, really, if you ask me). While not straight horror (Mazzenga incorporates elements of the weird, sci-fi and urban fantasy), Mad Tales is a collection of the creepy and creative befitting autumn, the best of all seasons. “Pepperell,” the lead story, truly stands out. It’s a fast-paced thriller fueled with a Twilight Zone aesthetic that disorients as well as it delights. The character development is a bit thin in this tale of outlaw bikers descending upon a quiet mountain town, but the “said the spider to the fly” motif compensates for the broadly sketched personalities. There is no short-changing on the characters in “Bloody Depths,” a sprawling seascape of uncertainty that delivers its nightmares at an even pace. Here, we have more time to engage with the main character’s plight and share her dread as Mazzenga takes us to some weird—I mean really weird—places. 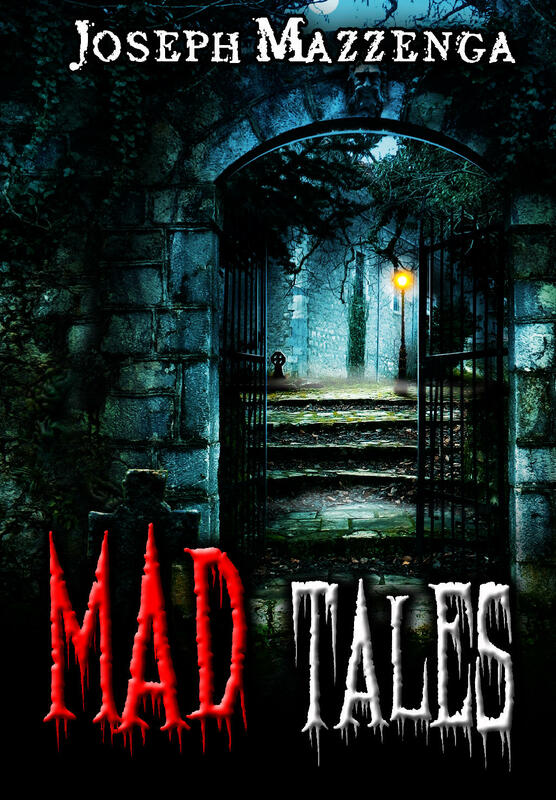 While they may incorporate elements of fantasy and sci-fi, each of the Mad Tales features a creepy tone that firmly establishes this enjoyable collection in the horror genre.